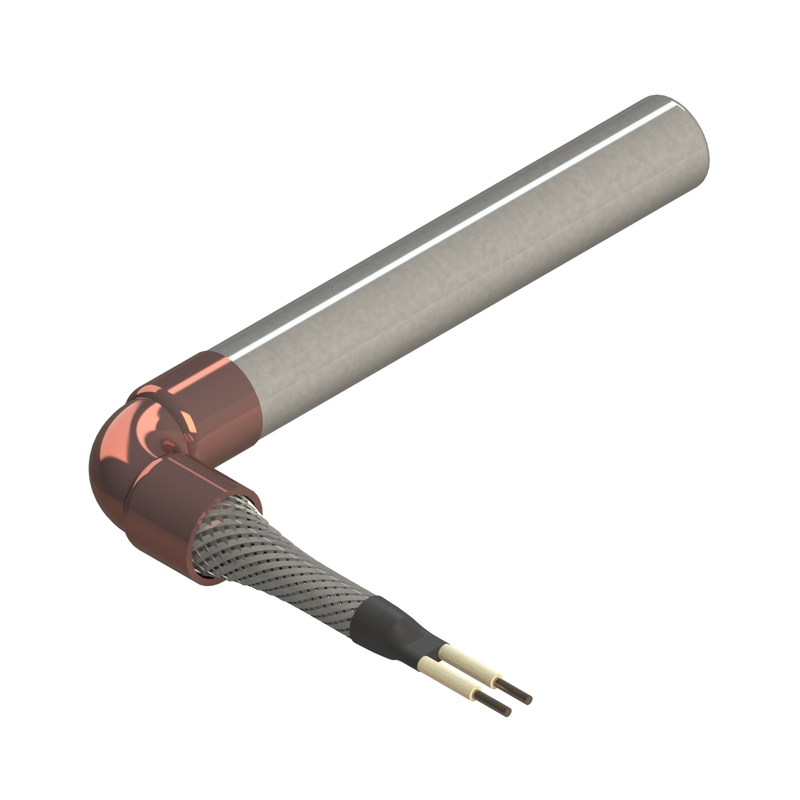 This cartridge heater’s flexible conduit features a copper elbow with stainless steel braid. Elbow applications are good options for attaching right angle flexible conduit to sheaths. This design offers protection against abrasion damage. This design is standard use when space limitations are not critical. This cartridge heater style is available with an internal thermocouple.